Uploading videos on YouTube are worthless if you’re not promoting them. When it comes to promoting videos on YouTube, The YouTube SEO tools come handy. As per the latest Youtube Statistics, 300 minutes of videos are uploaded every minute and 5 billion videos are watched on YouTube every day. So if you want to get your video noticed, you have to use a YouTube SEO tool to promote it. The popularity of textual content has definitely taken a toll in the last few years. With more and more competition on the internet, the marketers had to come up with a more interesting way to showcase the content. This need, coupled with the rise of YouTube, gave birth to a new trend called video promotion. 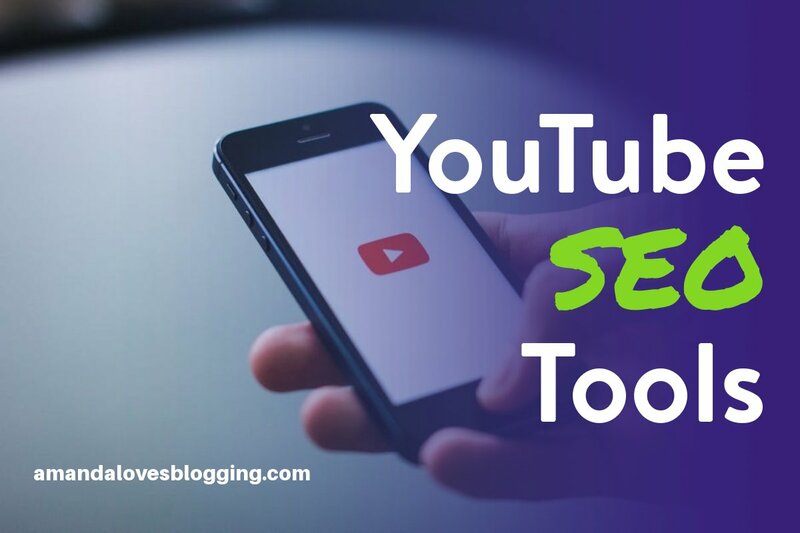 To tap the huge potential of this market and to make your mark on the YouTube platform, you can start using these 10 YouTube SEO tools today. Cyfe is an SEO tool that lets you analyze your YouTube statistics. It also helps you keep a track of individual video performance in an effective manner. Cyfe gives you additional data on the view count as well as likes/dislikes ratio on the video so that you can get valuable insights on what you can change with it. These small changes can really bump up the status of your video channel by a huge factor. Canva is a tool that helps you optimize your video promotion efforts on the YouTube platform. It will help you make sure that the existing videos derive the maximum possible revenue for the business effectively. 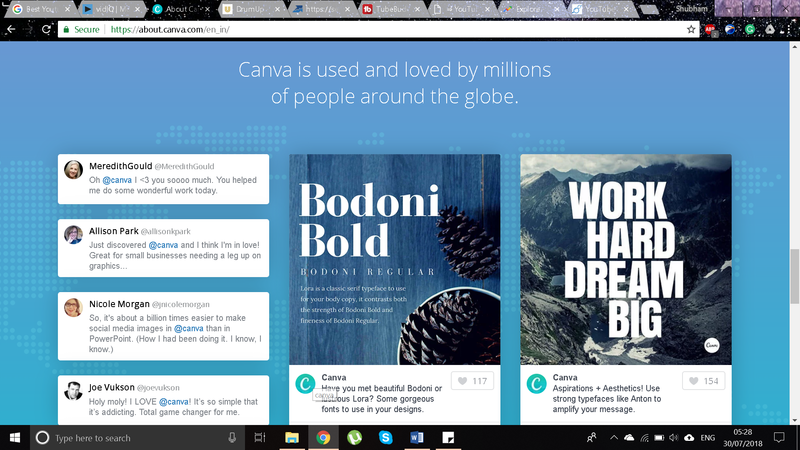 Canva also features a small YouTube video thumbnail tool that helps you recreate the thumbnail. If you have a decent amount of views on your videos, YouTube grants you the access to select custom thumbnails for the videos that you post. Upon completion, you can now save the image as the thumbnail picture to your video in a classic PNG or JPG format. In the competitive space of the YouTube platform, the timing of the ad plays a critical role. 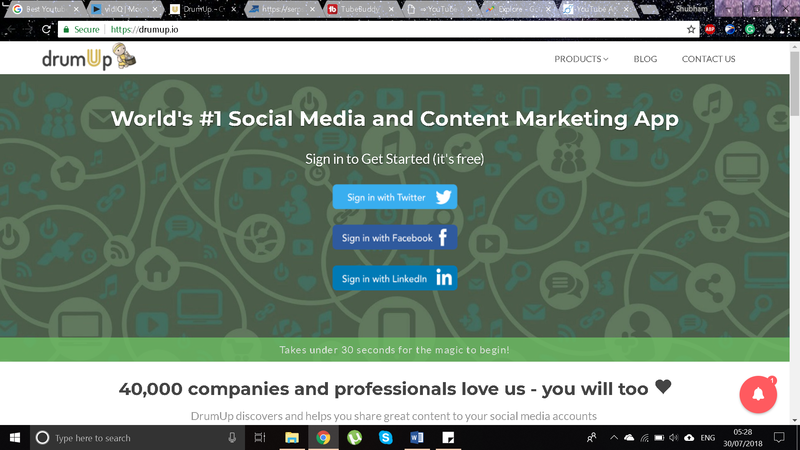 With the DrumUp, you can schedule the right time to promote the YouTube content on the various social media platforms. This tool is especially helpful when your target audience belongs to a different time zone. Add multiple social media accounts to the tool including Facebook, Instagram, Twitter, etc. Once you have successfully completed these steps, your content will automatically be posted by the tool at the designated time. Serpstat is the preferred tool for all major YouTube channel holders & SEO Consultants. It has two different versions, the paid one and the free one. Serpstat helps you with a wholesome backlink analysis of the YouTube channel. With the free version of this tool, you can track up to 30 queries at a time and audit the overall performance of the channel. With the paid version, you can effectively track 300 queries per day. Serpstat helps you determine the best keywords for your channel as well as videos so that it appears at a good position on the search results. It also helps you gain valuable insight on the competition to make sure that you stay on top of your game with the videos. Serpstat is one of the finest tools for SEO as well as PPC campaign analysis and optimization. 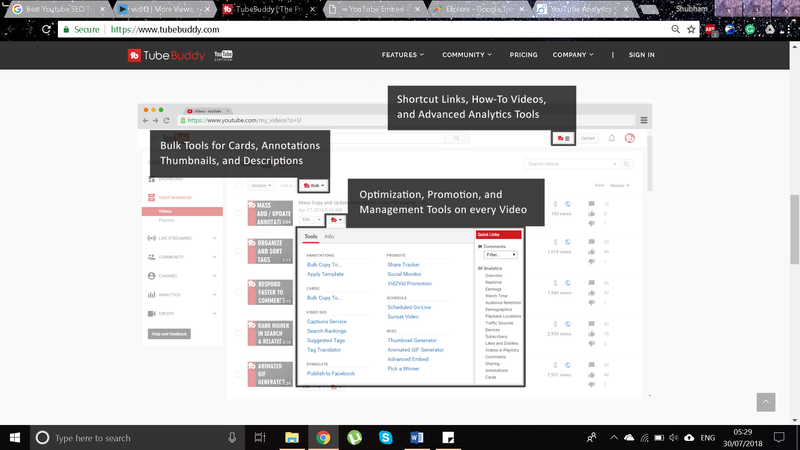 The best part about using the TubeBuddy tool is that it can be added as an extension to your browser window. It has a comprehensive list of features that help you analyze as well as optimize the video content on the channel. The TubeBuddy tool acts directly on the platform and you don’t need to go on to another website or application to access its features. Correct mistakes in a pre-emptive manner while uploading the video onto YouTube. These mistakes include broken links, improper tagging as well as mistakes in title and description. It is a good idea to install Grammarly too on your system before writing the description of a particular video. 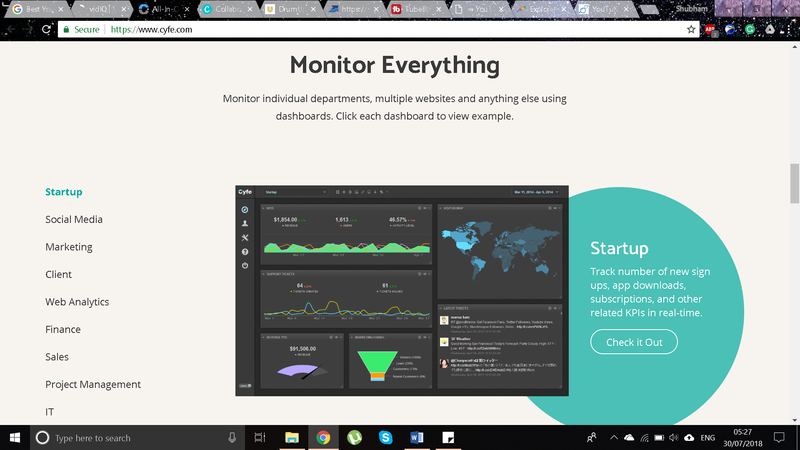 Just like TubeBuddy, it hooks onto the browser window with an extension and helps you identify the various spelling and grammatical errors. Uploading the video to the YouTube platform is one small part of the job. To complete it, you also need to generate the video’s embedded code for sharing it. When you share your uploaded video across multiple platforms like Facebook, Instagram, Snapchat, LinkedIn, etc. the chances of getting more views increase significantly. You can also ask your friends and connections on the social media platforms to share the video on your behalf. 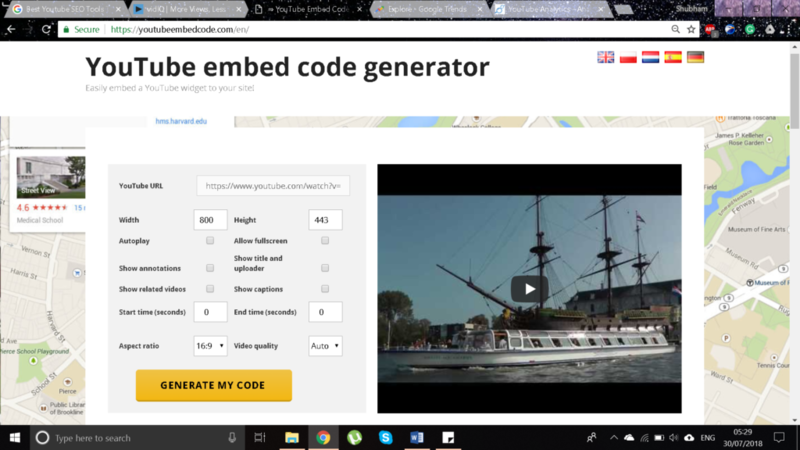 The custom video embed generator tool helps you generate a small piece of code that you can share on multiple social media platforms. The custom code helps you control the parameters by which the viewers will see the video. Some of these parameters include starting the video from a particular time, monitor the view time of the audience as well as loop the video for a set number of times. 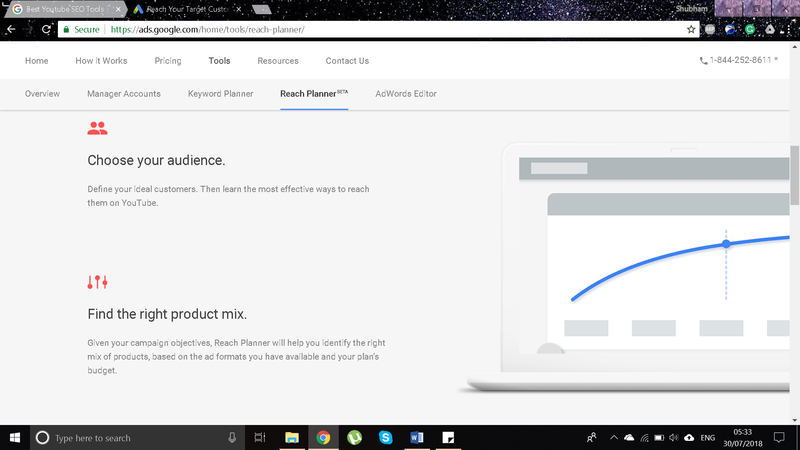 The Google Reach planner is one of the most effective Google Webmaster Tools customized specifically for YouTube videos. The reach planner tool helps you forecast the reach of a particular video or channel even before you launch it. It uses a proprietary algorithm to check the likeability of a particular idea. The tool also helps you create a plan through which you can connect your YouTube platform to the AdWords platform. If reaching the right audience is your big concern, you can leave this task up to reach the planner tool. It will make sure that all your content reaches the right audience at the right time. 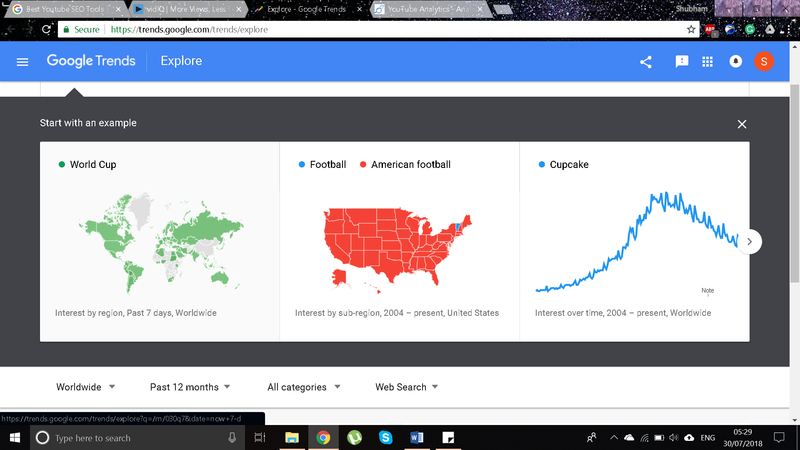 Google is a keyword-based search engine. It means that Google utilizes the keywords that you type into the search as the preliminary search criteria to look for the particular image/text/video, etc. The Google explore tool helps you exploit this particular trait of the search engine effectively. The Explore tool helps you understand the effect of particular keywords and hashtags that your content will have on the YouTube video. It can help you choose the best set of keywords and phrases so that you can leverage this knowledge to get more hits on the channel. The BirdSong tool is extremely popular for its competitive research guidance. 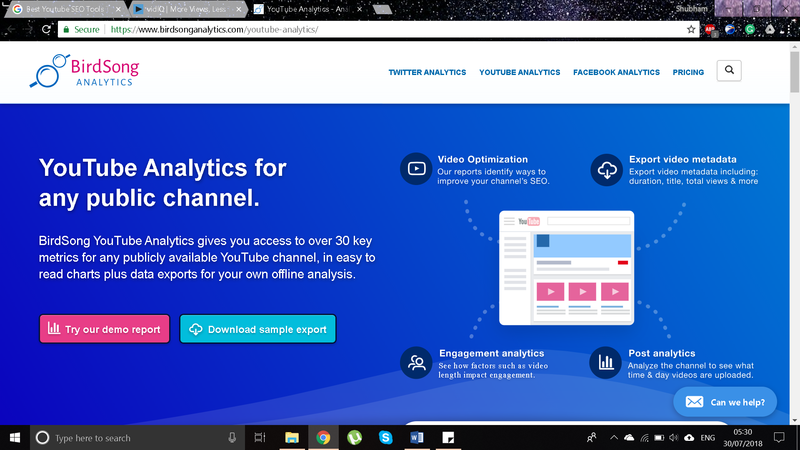 It helps you analyze the strengths and weaknesses of the competitive channels on the YouTube platform so that you can devise a strategy to win. 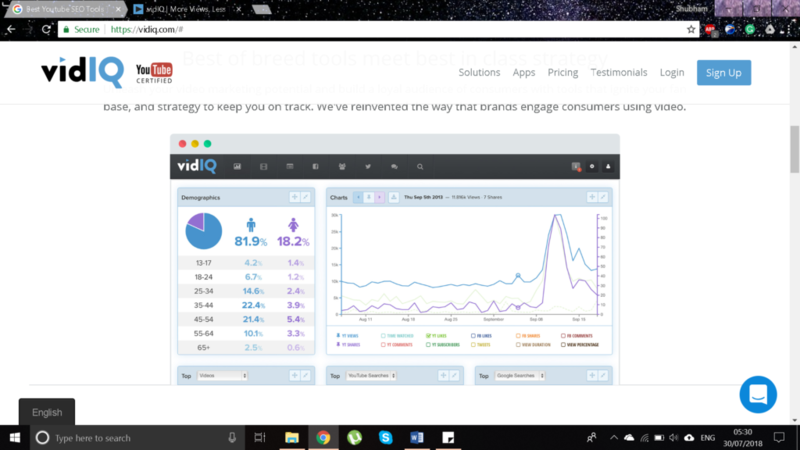 The VidIQ tool helps you generate the most relevant and trending tags for a particular video within minutes. It can help you easily forecast the effect of using one set of keywords over the other. This way, you can run several iterations on the tool before choosing the perfect set of keywords. Using a combination of these 10 tools will give you valuable insights into the performance of particular videos on the channel. After collection of this data, you can make changes to the channel to get maximum benefits out of it. YouTube promotion is just as valuable as new content on the blog. 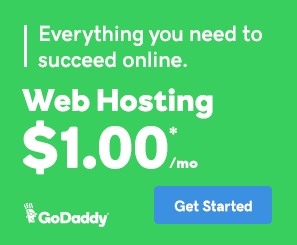 It can drive a lot of traffic back to your website. Yes, promotion on youtube serves better than any social site. Here are another tips: Make a video out of your blog pages. There are lots of standard software out there to help you. Maybe not innovative tips, but it could be a smart start if you’re not sure what to do on Youtube. Just take an article you’ve already published on your site, make a video from its content, post it to Youtube channel and also post that video on your own blog if you have one. I’m sure, it will drive extra organic traffic. Anyways, your content is very inspiring and thanks for sharing this article. It’s encouraging and very valuable.